Every IT manager knows the value of a fast, reliable and secure platform—that’s why the cloud is a new foundation for digital transformation. The cloud is changing the way we think about the IT infrastructure. How will your company benefit from cloud services? When is the right time to migrate to a hybrid-cloud solution? Cloud Services Platform lets you build and manage modern hybrid applications across environments. Powered by Kubernetes and other industry-leading open-source technologies from Google, Cloud Services Platform transforms your architectural approach, lets you focus on innovation, and allows you to move faster than ever without compromising security or increasing complexity. 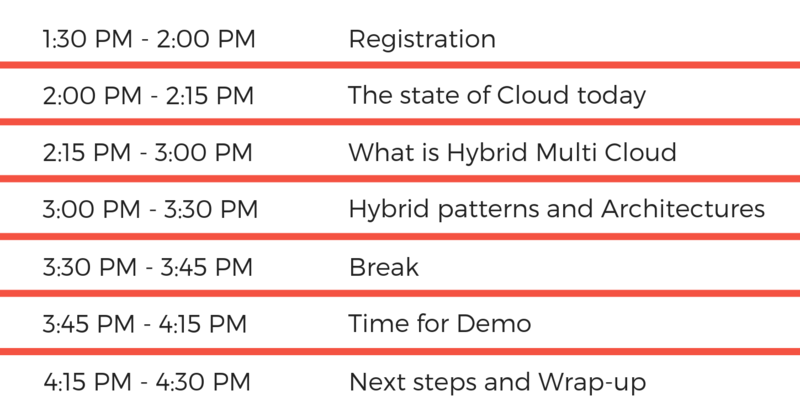 Save your seat today to learn about Cloud Services Platform transforms your architectural approach, lets you focus on innovation, and allows you to move faster than ever without compromising security or increasing complexity.